The hotel has 151 rooms in a typically Aegean style with tiled floors and white walls, all helping to create a cool and relaxed atmosphere. The temperatures in summer are comfortable thanks to the cooling breeze. 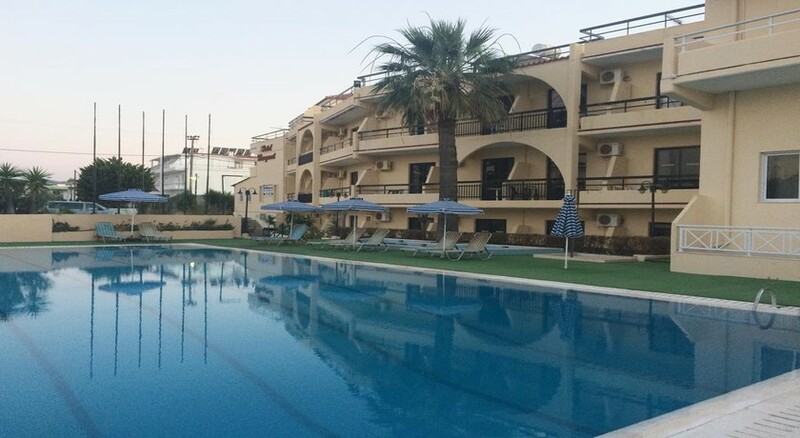 The hotel is a popular choice for holidays in Rhodes and offers watersport facilities including the chance to try windsurfing, canoeing and sailing. The hotel has 2 swimming pools and a heated spa pool. There is also a children`s pool. 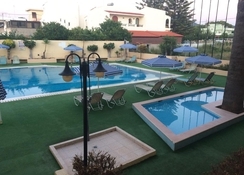 The hotel has a main restaurant, a Greek restaurant, a Thai restaurant, a fish and oyster restaurant and finally a pool restaurant serving light snacks and drinks. This hotel will appeal to families and couples looking for a quiet relaxing property from which you can explore the area or just take things easy.